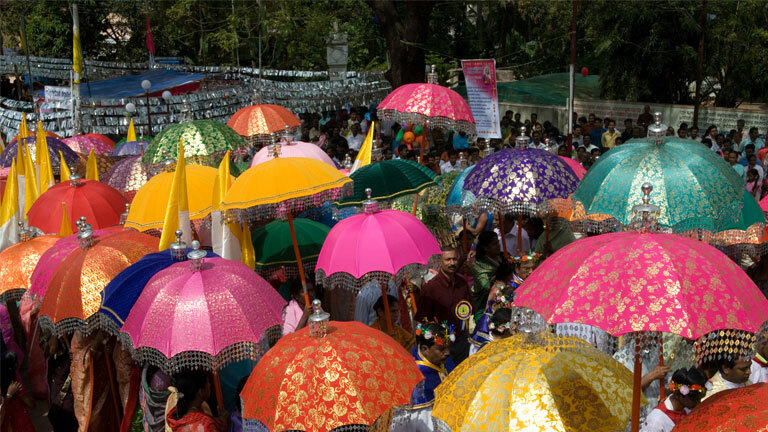 Arthunkal Perunnal (perunnal means feast) is the ten-day annual feast at the St. Sebastian's church at Arthunkal, a coastal region in Alappuzha District. A procession carrying the statue of St. Sebastian from the church to the beach and back is an important event during the feast. Devotees express their gratitude for favours received by crawling on their knees from the nearby beach to the church. This ritual is called urulu nercha.